The casting properties of ZL12 enable it to compete favourably with other cast metals such as Iron, Brass, Bronze and Aluminium Alloys. 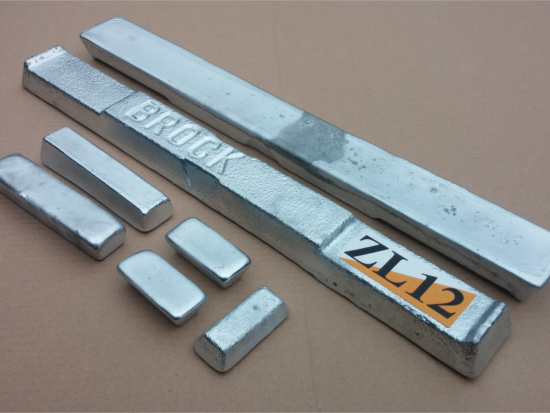 ZL12 has excellent machining characteristics, good corrosion resistance and requires only the minimum of surface preparation for easy electroplating or painting. The original specification for this alloy was developed by the International Lead Zinc Research Organisation Inc. New York USA. ZL12 was known as Kayem 12 and ZA12 in the past. ZL12 is the EN 1774 equivalent of these alloys. Excellent castability giving pressure tightness, thin sections, intricate detail. Low shrinkage & gas porosity, high sand reclamation. Existing pattern equipment and gravity dies can be used. Excellent buffing and polishing characteristics. Easily electroplated, painted or lacquered.